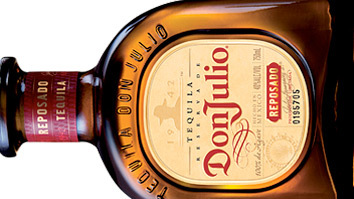 The process of creating Tequila Don Julio is as unique as the tequila itself. From the cultivation of the agave plant to the American white-oak barrels it is aged in, making Tequila Don Julio is a process that requires the skilled and practiced hands of people trained in the art and craft of tequila. Each bottle of Tequila Don Julio is made from the same handpicked, 100% pure, blue Weber agave plants from the highlands of Jalisco—one of the country’s most fertile agave-growing regions. It is here where each agave plant is allowed to grow seven to ten years before it is harvested, resulting in the mellow, fully developed agave flavor Tequila Don Julio is known for. It is this attention to quality, craftsmanship and tradition that sets Tequila Don Julio apart from other tequilas and makes it the world’s finest luxury tequila.